-i started with a 3 x 4.25 piece of solar white and i made messy horizontal stripes using the ranger acrylic dabber in pearl metallic. i wasn't sure how the stripes would come out but i love how they turned out just shimmery enough. 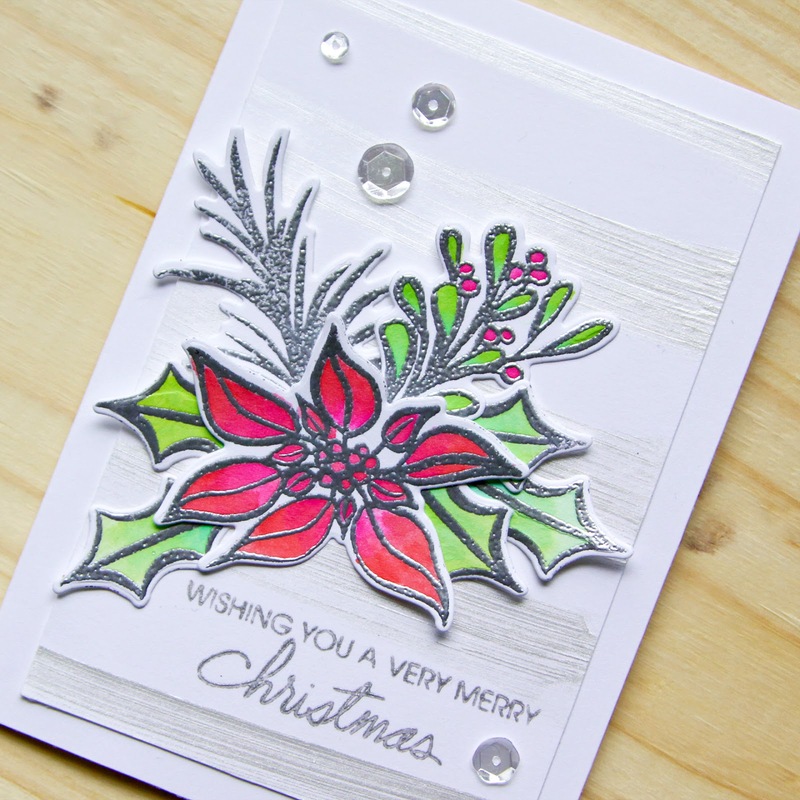 -while my paint was drying, i stamped all of my images from the essentials by ellen mistletoe & holly set on solar white cardstock in versamark and embossed with silver embossing powder. then i die cut them with the coordinating dies cuts. 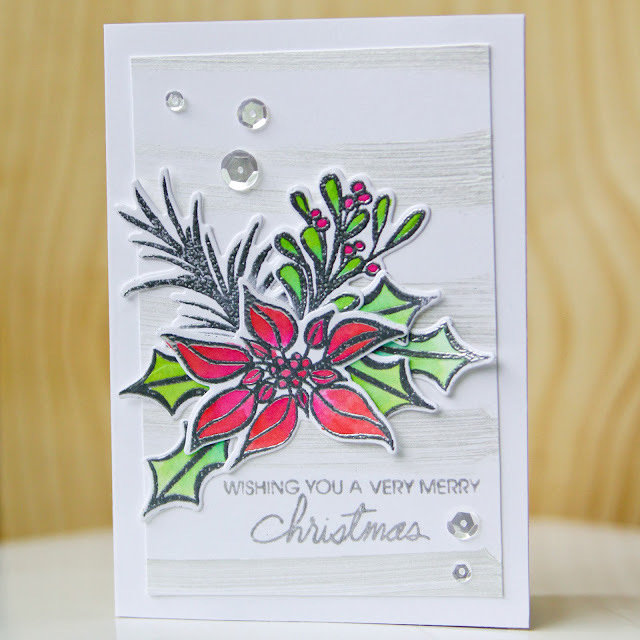 -then i watercolored my holly, mistletoe and poinsettia with distress inks. -i arranged all of my watercolored pieces on my striped panel and then i added a sentiment in silver ink. -i adhered the whole thing to a 3.5 x 5 white card and added a few sequins to finish it off. Hi Carly! This is beautiful! Great job with the water Colors!